Want a smartphone that takes awesome photos? Here's what you need to look for to ensure you get one. You probably already have a smartphone but in case you're soon due for an upgrade or just fancy a change, here's what you should look for if taking photos is at the top of your 'to-do' list. 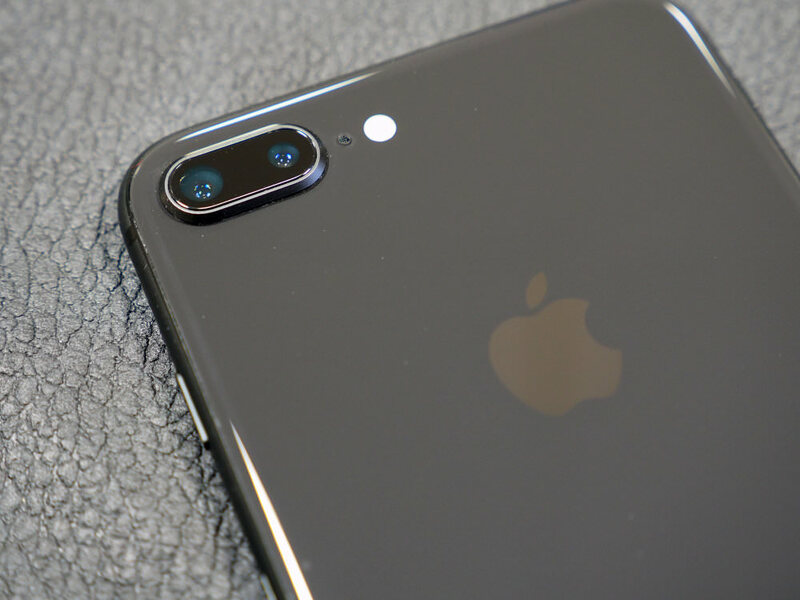 High-end smartphones from giants such as Samsung and Apple feature wider lens apertures than less expensive smartphones and as a result, image quality is much better. The Samsung Galaxy S9 Plus, for example, has a bright f/1.5 aperture so it's capable of taking a photo that shows a blurred background, particularly when the subject is close to the lens. It actually houses one of the best cameras currently available in a smartphone (at the time of writing) and that's why it's currently sat at the top of our '10 Best Camera Phones For Photography' list. All of the smartphones in our top list feature between 12-21 megapixels which is good but you should also pay attention to the micron/um pixel figure as this can also mean image quality is improved. 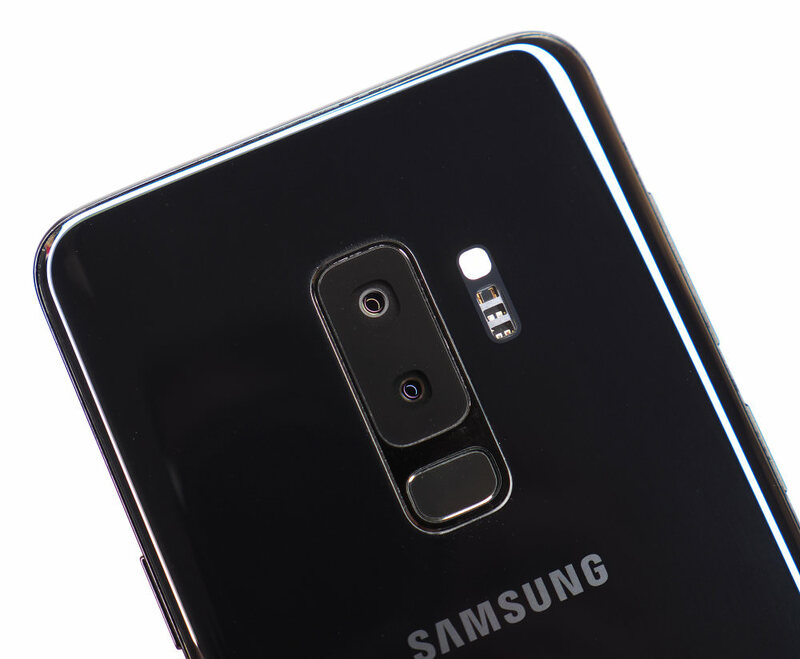 For example, the two Samsung's sitting at the top of our 'best buys' list feature 1.4um pixels, which are quite large, and it allows the sensor to gather more light and as a result, you'll be able to capture better photos. As there's no traditional viewfinder, you're going to be holding your smartphone with 2 hands and using the screen as your viewfinder and shutter release. As a result, the bigger the screen, the more you will see. Also, If you see that a smartphone's screen is constructed from Gorilla Glass, this is a good thing as it's more resistant to scratches. The higher the resolution of the screen, the clearer the picture will be so you might want to check the phone's spec for this. If it's an Apple phone, with a Retina design, even better as images will appear crisp and sharp. There's also a competition going on at the moment to produce a smartphone with the smallest possible bezel, as well as a notch-less and chin-less design. It's a tricky thing to do but some manufacturers are getting pretty close to it. Vivo, for example, released the Nex with a screen-to-body ratio of over 91%. 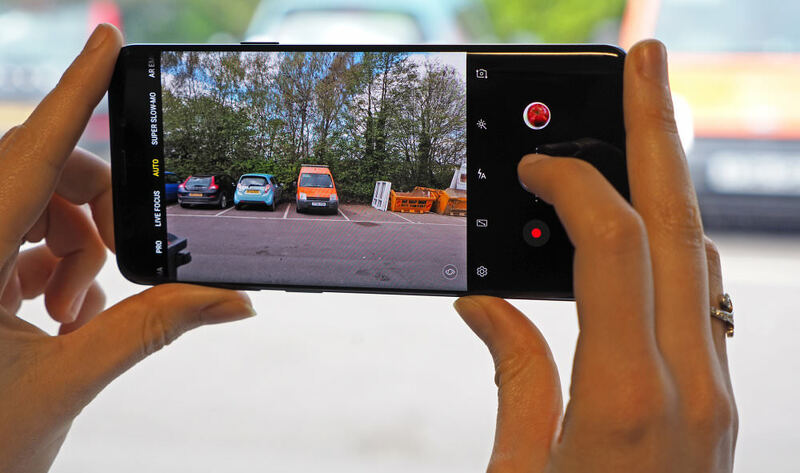 Image Stabilisation is something that's built into smartphone cameras to minimise the effect shake has on your photos. Without it, any movement you make can be picked up by the camera and spoil your shot. It can also add to the quality of video recorded on your smartphone. The lenses found in premium smartphones are excellent and can sometimes offer a better aperture than that found on small digital cameras. Plus, as designers want to make smartphones as compact as possible, there's not much room for an optical zoom so they tend to feature a wide-angle prime lens, or a number of different prime lenses instead, and we all know the benefits of using primes over zooms. The downside to this is that many still feature digital zoom which tends to be a bit rubbish. You'll get a much better photo if you use your feet rather than using the pinch zoom feature on the smartphone. Clip-on lenses are also an option and a wide variety of manufacturers now create these, including well-known lens manufacturer ZEISS. It's worth noting that some smartphones feature two or more lenses with different focal lengths, such as the iPhone X, which has a 2x optical zoom, compared with a single fixed lens, or the Huawei Mate 20 Pro, which has three different cameras on the back. HDR, or High Dynamic Range, is something that's existed in photography for a long time and now, cameraphone manufacturers are featuring it in their devices. It's designed to help you capture photos that have a better dynamic range (shadows to highlights) and on phones such as the latest iPhone, it does improve picture quality. There are times when using this feature will be more beneficial than others such as when capturing landscapes, outdoor portraits in sunlight and in heavily backlit scenes. Try to avoid using this mode when you're in a place where people are moving through the shot, though, as your phone is actually capturing mulitple images and combining them so any movement will show in the final photo. There simply isn’t enough light in places such as interiors on overcast days, in caves, at gigs in darkened rooms etc. for your smartphone to capture a good photograph so, in situations like this, the camera will bump up the ISO levels so it's more sensitive to light. This is great but by doing so, the chances of noise (read more about what noise is here) spoiling your shot also increases. Most smartphones have a noise reduction feature but this can be quite strong and turn parts of the image into mush which can ruin the photo just as much as noise does. So what's the solution? Well, you can avoid all low light scenarios but this is just impractical or you could use a support and select a longer shutter speed from the more advanced camera settings but again, it's impractical (who wants to carry a tripod to use with their smartphone?) so you're better off looking in your smartphone's advanced camera settings to see if you can control the ISO levels. On the Samsung Galaxy S9 Plus, for example, there's an ISO range that starts at 50 and reaches 1250 but detail starts to suffer when ISO800 or above are used. As well as the automatic 'point and click' option, most mid- to high-end smartphones offer a pro / manual mode of some sorts. What you can control tends to differ from phone-to-phone but generally speaking, you'll be able to edit the ISO, shoot in RAW, adjust the white balance of the shot and use exposure compensation. The high-end, newer iPhone and Samsung also have a portrait / selective focus mode that will blur the background of your image, giving the impression of bokeh you capture on digital cameras when using wider apertures. 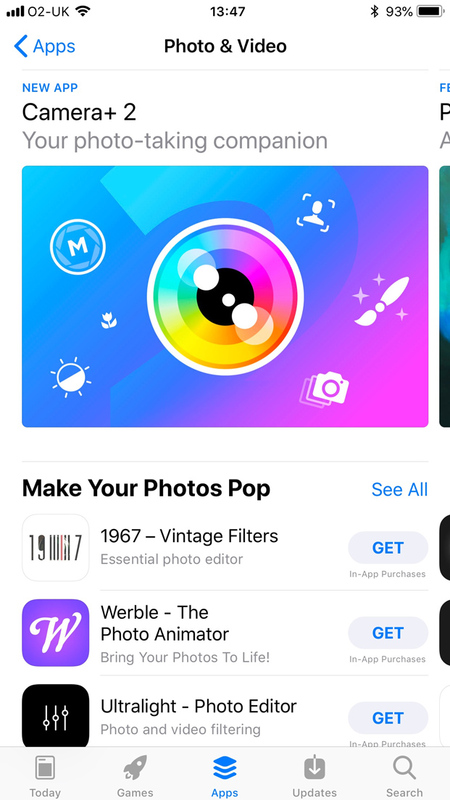 Various filters will be available in both modes and you'll also find options for capturing panoramas, slo-mo, timelapse, square cropped images and video. 4K video is something appearing on newer smartphones and, of course, it means video you capture is of better quality. The latest smartphones offer 4K video at 60fps for even smoother footage, but many have "just" 30fps. Check to see if stabilisation is used when capturing video footage as this will improve the quality considerably and the option to use continuous AF while recording will mean you can capture better videos, too. Less expensive smartphones tend to max video quality out at 1080p or even 720p. It's also worth remembering that 4K video will take up lots of room so if you don't have a phone with a large storage capacity, or one where you can use memory cards in, you may want to stick to shooting FullHD video. A fun, and creative effect you've probably seen online, is slow-motion video, where the camera records a video at a high frame rate, for playback in slow-motion. Many of the mid-range, and premium smartphones offer high-speed video recording, with many offering up to 960fps. However, it's worth diving down in to the detail to find out how long a camera can record for, as well as what resolution is available, as often the higher the frame rate, the lower the video resolution, and therefore the lower the quality of footage. Knowing how quickly the phone's camera can focus and the shutter response is useful but you'll probably have to read reviews to find this out. Knowing how many frames per second (fps) the camera can capture images at is also useful to know as a quick fps can increase your chances of capturing a good photo in situations where your subject is moving. The majority of smartphones have a built-in LED flash but as they tend to be a bit harsh when used up close and don't reach very far when photographing subjects that are further away, it's not something that needs to be paid much attention to. In fact, most of the time you'll want to turn the flash off as the camera tends to be set to 'auto flash' which can fire when you don't want it to. Some offer a dual-tone LED flash for improved lighting, and if you're selfie obsessed then you may want to find a smartphone with a front selfie LED flash. You might think this should be in the list above but as the battery life on most smartphones tend to be a bit rubbish, it's gone on the 'useful but not essential' list. Of course, a really good battery life is useful but when using the camera, texting, looking at maps, browsing social media etc., getting a day's use out of the battery is a positive. Although, you may want to consider a portable battery charger if you want to ensure the phone lasts all day and you won’t have access to a wall charger. Having a phone that's resistant to you accidentally dropping it in the washing-up bowl is a bonus but from a photography perspective, it means you can take photos in the rain or even underwater (to certain depths and for specific lengths of time). 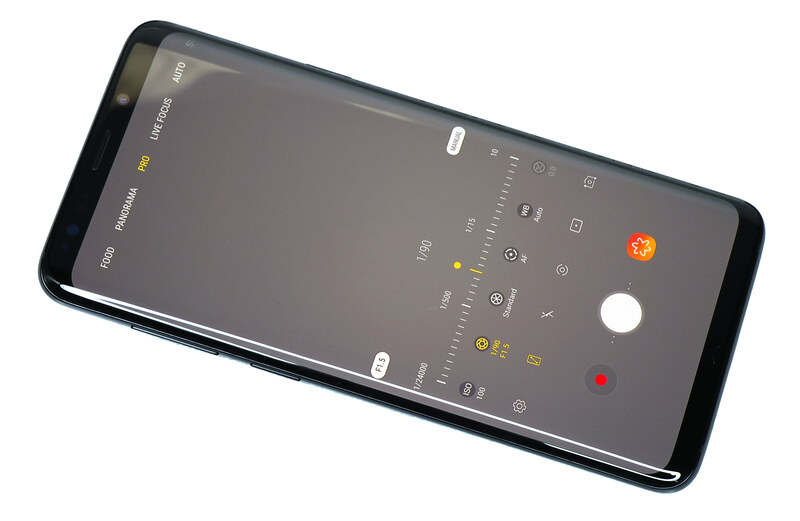 As of yet, smartphones can't go as deep as tough cameras and they do have a limit on how long they can withstand water (if used without waterproof housing) but it probably won't be long until you can capture images of coral reefs with them. As with all waterproof cameras, it's a good idea to rinse any camera or smartphone that has been in sea water, as this can cause additional damage. For both iOS and Android devices, there are literally thousands of apps, although the Play store probably has a few more than the Apple App Store just because it's easier to create and make apps available on the Android platform. You can do everything from editing photos to turning someone into a funny gif complete with weird cartoon eyes with apps but Snapseed and the photo editing apps from Adobe, such as Adobe Photoshop Fix, are particularly good and there are some decent ones for turning images into collages, too. Popular social media channels such as Facebook and Instagram also have photo filters built in which you can use to ensure your photo gets plenty of 'likes'. The internal memory of smartphones can actually be huge so having the ability to expand a device's memory with a memory card isn't something you might need to worry about but having the option to use one might be something you like the sound of. Most Android phones have a MicroSD slot but iPhones don't have them. You might also want to see if any free cloud backup storage is offered as it can come in very handy if you lose your smartphone or it breaks. It also means you can store photos in it, rather than on your device, freeing up space to capture even more images. The three big players: Apple, Google and Microsoft all offer various levels of free and paid for cloud storage, and can be a good way to keep a backup of your photos and videos safe. This is a rare feature but they can be found on some smartphones such as the Sony Xperia and the Kodak Ektra. As a photographer, you might prefer to have a physical button rather than the virtual on-screen buttons found on most devices. The volume buttons tend to work as a shutter button, as well, but it's still not quite the same as a shutter button. iPhones are the most supported when it comes to camera cases, lenses, flashes etc. that are available but we can't really say there's a shortage of Android accessories, though. It's worth noting that there are some really cheap accessories out there that aren't very good so do read the description and reviews of products before parting with your money. On the other hand, there's also, what some would consider being, expensive accessories as well so at least the mobile phone accessory market is balanced! 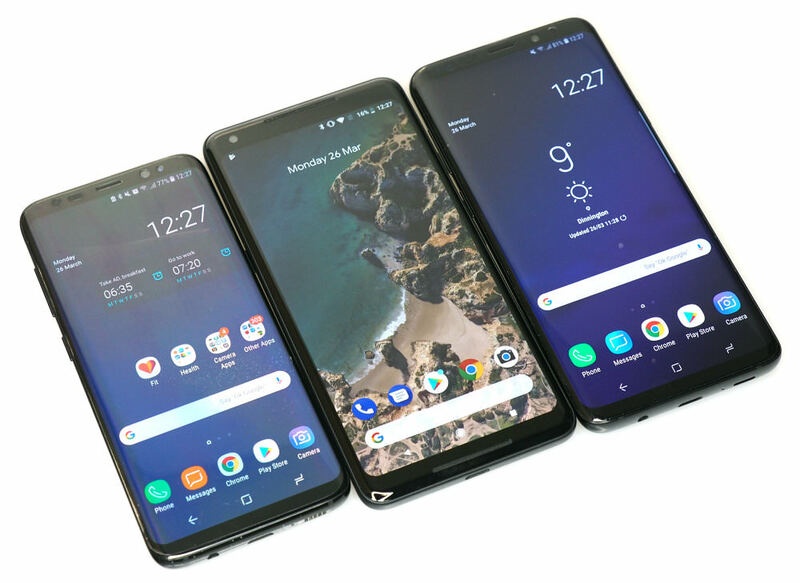 To help you make a more informed decision on your smartphone purchase, take a look at our review section and we also have a number of buyer's guides, which we've linked to below. You'll also find more tips and guides in our 'Best Gear' section.